Next year's flagship iPhone will have a "full-screen face," with an embedded "virtual button," a report said on Tuesday, reinforcing some other recent rumors about Apple's expected redesign. The new claim, an aside in the New York Times' iPhone 7 review, is said to stem from two anonymous sources at Apple. The people didn't reveal any other information about the future device, such as whether or not it will also embed other front-facing components like Touch ID or the FaceTime camera. 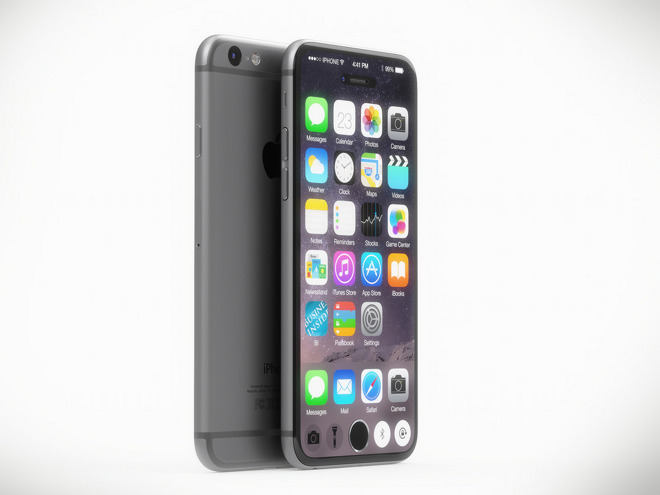 Even though the iPhone 7 is only set to ship on Friday, rumors have already begun to turn to its 2017 successor, which could be a major redesign marking the iPhone's 10th anniversary. Its main feature is expected to be an edge-to-edge OLED display, which may even be curved on one of three models like Samsung's Edge-series phones. The product could offer iris scanning as a new security method. Figuring out how to handle front-facing components may be one of Apple's tougher challenges. A "virtual button" would have to combine the iPhone 7's pressure-sensitive technology with some sort of onscreen representation, possibly even when the phone is otherwise sleeping. It's also unclear how Apple would handle Touch ID, one option in theory being turning to iris scanning as a replacement.